The FGC Safe In-Store Pass is an industry-designed online course aimed at improving the safety of supplier representatives working in a retail store. It is the result of a collaborative effort between retailers and the Food & Grocery Council to deliver time- and cost-effective training that is immediately accessible to all. This course allows you – the representative – to understand your responsibilities while in store and enables all parties to work together to create a safe workplace. The cost for the Safe In-store Pass is $63 + gst. It will take you just one hour to complete, and because it is delivered totally online there is no travel time! This addition to the Safe In-Store Pass will give food handlers in a retail environment the skills they need to act responsibly when handling food for public consumption. The FGC Food Handling Approved Pass is only sold in conjunction with the FGC Safe In-Store Pass at $100 + gst, or as an upgrade to existing Safe In-Store Pass holders for $45 + gst. As with the FGC Safe In-Store Pass, this course is delivered totally online. 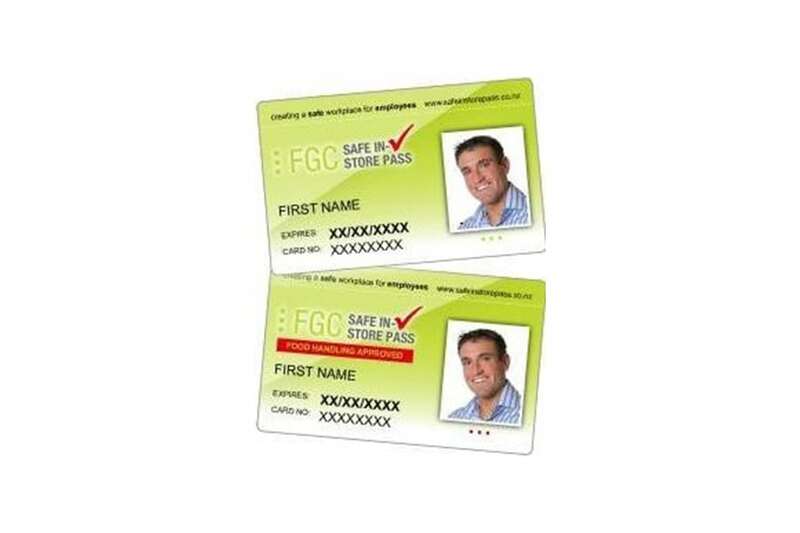 It will take around an hour to complete each of the FGC Safe In-Store and Food Handling Approved Pass components. On completion of the course you will be issued with a temporary certificate and then a permanent photo identification card, which be valid for four years. We are currently reviewing our Food Handling Course and are moving to have it even more closely aligned with the NZQA 167. We will also be providing the option for demonstrators to gain their NZQA 167 qualification online. Naturally there will be an additional cost for this option. Intuto manages the FGC Safe In-Store Pass on behalf of the Food & Grocery Council, providing the systems, material, and support.